In order to study the effect of solution treatment at different temperatures on Inconel 600 material, a piece of 16mm-thick plate of ASTM B168 UNS N06600 is selected as the specimen which is then cut into 6 pieces of 4mm-thick plates. The Inconel 600 plate was manufactured by the following processes in sequence: electric arc furnace(EAF) – argon oxygen decarburization(AOD) – eletroslag remelted – hot rolling – annealing – descaling. *All values are measured by weight. The 6 pieces of Inconel 600 specimens were heated to the temperature 950°C, 1000°C, 1050°C, 1100°C, 1150°C, and 1200°C, respectively, and holding for 5 minutes, respectively, before quenched in cold water. 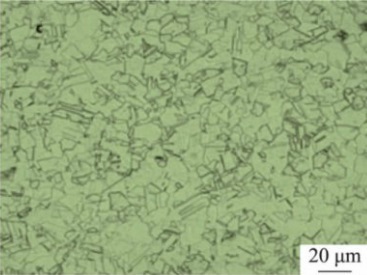 Microstructure of Inconel 600 specimen after solution treated at 950°C. 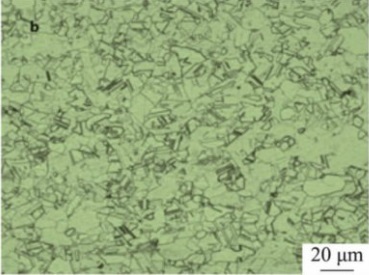 Microstructure of Inconel 600 specimen after solution treated at 1000°C. 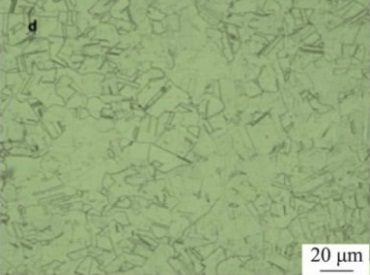 Microstructure of Inconel 600 specimen after solution treated at 1050°C. 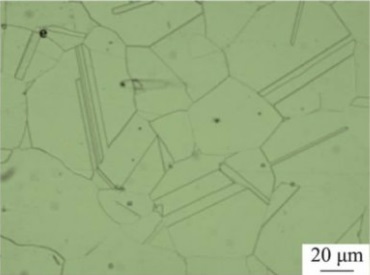 Microstructure of Inconel 600 specimen after solution treated at 1100°C. Microstructure of Inconel 600 specimen after solution treated at 1150°C. 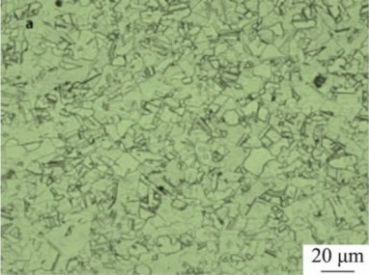 Microstructure of Inconel 600 specimen after solution treated at 1200°C. It is obvious that after being solution-treated at 1100°C, the Inconel 600 nickel alloy forms single phase austenite (with twins available) which also means carbides completely dissolve into the austenite matrix. 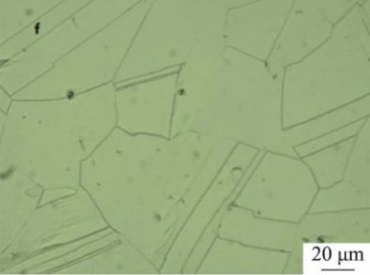 It is also found that the grain size of austenite doesn’t grow up apparently if the solution treatment is conducted at the temperature 950°~1050°C. However, when the solution treatment temperature is 1100°C, the growth of austenite grain is accelerated. When the solution treatment temperature is over 1150°C, the grain boundaries become straight and more twins are found. As the temperature is elevated, dislocation density is reduced which results in faster grain boundary migration and faster growth of grain size.